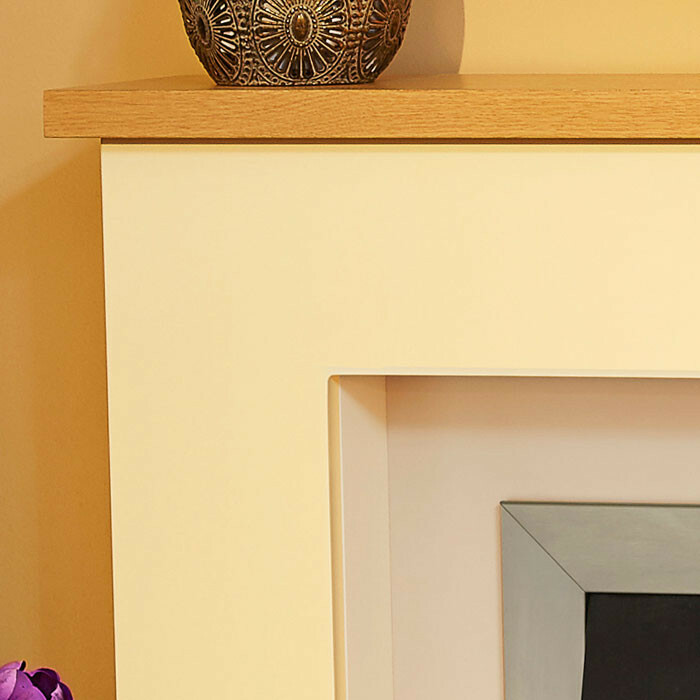 The Suncraft Bowburn contains a contrast of colours. 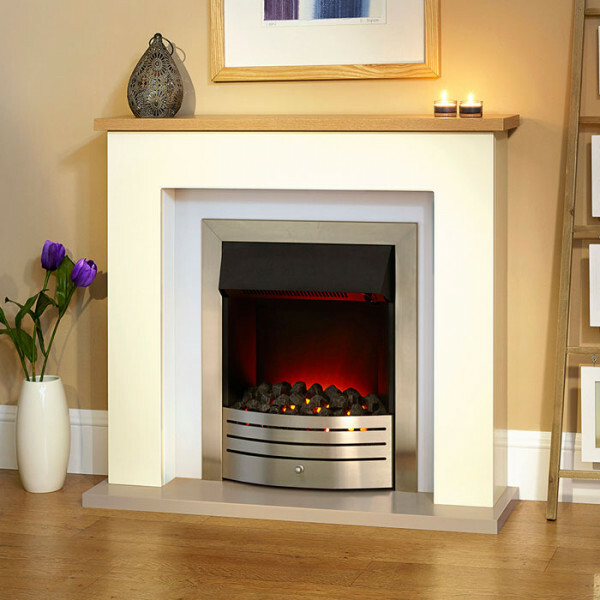 The back and hearth in the modern stone grey finish compliment the Sandstone effect surround. 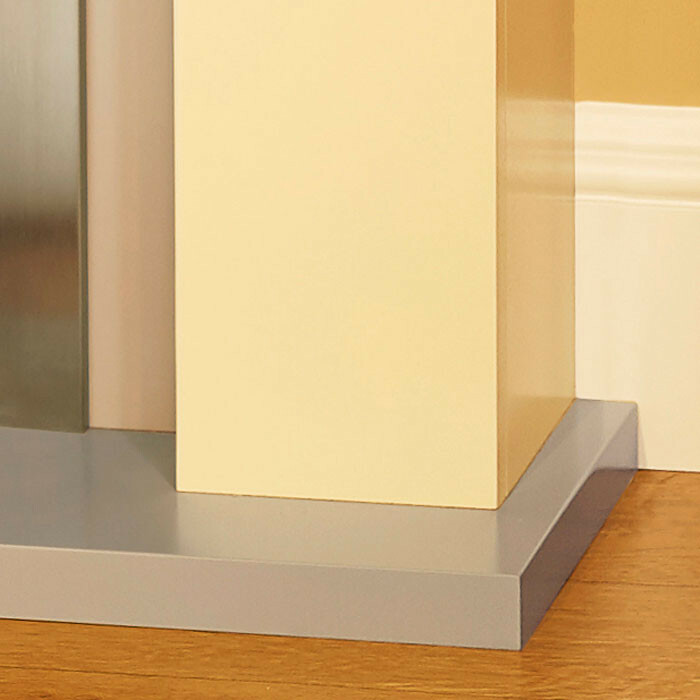 Contained within this is a brushed steel electric fire, a Natural Oak shelf provides a finishing touch to the design. The compact width of the Bowburn means this suite is perfect for smaller rooms or wall spaces. The fire utilizes a built-in fan heater to provide either 1kW or 2kW alongside a thermostat control which maintains a comfortable room temperature. 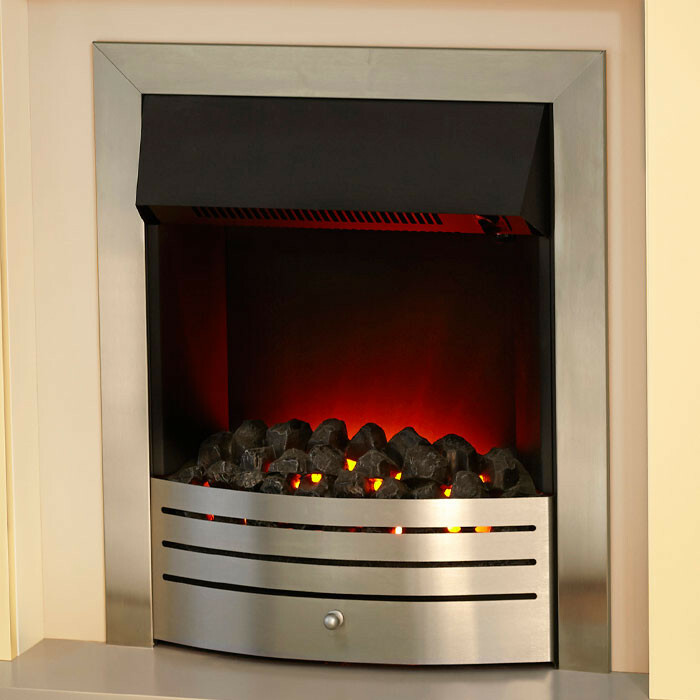 If the heat is not required the fire can be operated with a flame effect only setting.